The ideal femoral component for revision THA is undecided. Cylindrical nonmodular stems have been associated with stress shielding, whereas junctional fractures have been reported with tapered fluted modular titanium stems. We have used a tapered fluted nonmodular titanium femoral component (Wagner Self-locking [SL] femoral stem) to mitigate this risk. This component has been used extensively in Europe by its designer surgeons, but to our knowledge, it has not been studied in North America. Added to this, the design of the component has changed since early reports. We asked: (1) Does the Wagner SL stem have low rates of rerevision and other complications at a minimum 2 years after surgery? (2) Is the Wagner SL stem associated with high levels of patient function and pain relief at a minimum 2 years after surgery? (3) Does the Wagner SL stem have low rates of subsidence at a minimum 2 years after surgery? (4) Is the Wagner SL stem associated with proximal femoral bone remodeling at a minimum 2 years after surgery? Between May 2011 and December 2012, we performed 198 femoral revisions, of which 104 (53%) were performed using the Wagner SL femoral stem; during that period, our institution gradually shifted toward increasing use of these stems for all but the most severe revisions, in which modular fluted stems and proximal femoral replacements still are used on an occasional basis. Median followup in this retrospective study was 32 months (range, 24–46 months), and one patient was lost to followup before the 2-year minimum. The femoral deformities in this series were Paprosky Type I (10 hips), Paprosky Type II (26), Paprosky Type IIIA (52), Paprosky Type IIIB (nine), and Paprosky Type IV (two). Functional assessment was performed using the Oxford Hip Score (OHS), WOMAC, SF-12, and the University of California Los Angeles (UCLA) activity score. All complications and cases of revision were documented. All patients had radiographs performed within 1 year of the latest followup. These were assessed by two surgeons for signs of proximal femoral bone remodeling and subsidence. Complete preoperative scores were available for 98 patients (98 of 104; 94%). The mean OHS preoperatively and at final followup were 39 (SD, 15) and 87 (SD, 19), respectively (p < 0.001; mean difference, 48; 95% CI, 43–53). Average WOMAC scores were 44 (SD, 15) and 87 (SD, 20), respectively (p < 0.001; mean difference, 43; 95% CI, 38–48). At final followup, signs of restoration of proximal femoral bone stock was noted in 45 of 103 hips (44%). Six (six of 104; 6%) patients had subsidence of 10 mm to 15 mm. In the remainder (98 of 104; 94%), the mean subsidence was 2 mm (range, 0–9 mm). One revision was performed for loosening associated with infection. The Wagner SL stem is a viable option for patients with Paprosky Types II and III defects undergoing revision THA. This component provides high levels of patient function with low revision rates and low rates of subsidence during the early postoperative phase. They provide a viable alternative to modular components for treatment of Types II and III defects without the risk of junctional fractures. They can be used for very selected Type IV defects, however this extent of bone loss is most easily addressed with other techniques such as a proximal femoral replacement. Each author certifies that he or a member of his immediate family, has no funding or commercial associations (eg, consultancies, stock ownership, equity interest, patent/licensing arrangements, etc) that might pose a conflict of interest in connection with the submitted article. Each author certifies that his institution approved the human protocol for this investigation, that all investigations were conducted in conformity with ethical principles of research, and that informed consent for participation in the study was obtained. This work was performed at the Faculty of Medicine, University of British Columbia (Vancouver, BC, Canada). A comment to this article is available at http://dx.doi.org/10.1007/s11999-016-5144-1. Femoral component revision, especially in the presence of substantial bone loss affecting the proximal femur, can be technically challenging [19, 21]. Fully porous-coated cylindrical stems have provided encouraging clinical results [3, 15, 19, 22, 24]. However substantial proximal femoral stress shielding leading to loss of femoral bone stock and anterior thigh pain have occurred with these designs, resulting in a cautious approach to their ongoing use . Modular tapered fluted titanium stems have been associated with encouraging results as reported by numerous authors, leading to their increasing popularity in North America [4, 5, 10, 11, 14, 23, 29, 32, 33]. Furthermore, a comparison of the chrome-cobalt extensively coated stems and tapered titanium stems in one study suggested superiority of the latter in terms of the clinical outcome . However, these modular stems have drawbacks. Concerns arose at our institution regarding the modularity of the tapered titanium stems after several junctional fractures were noted and were reported by other authors [4, 7]. This has led to efforts to refine the fatigue strength of the modular stem junction with the introduction of newer stem designs. However, medium-term results of these efforts are lacking. In an effort to mitigate the potential risk of stem fracture, we began using the nonmodular tapered fluted design in 2011. We believed that the nonmodular design would show results comparable to published results with modular stems [23, 28, 30, 31, 33]. Several studies [6, 14, 20] support this view, however some of the medium- to long-term studies [6, 14] reflect use of early designs of this prosthesis. In addition, some of these studies represent the efforts of surgeons involved in the design of the implants used [34, 35]. The aim of our study is to present the clinical, radiologic, and functional results from a single center, with revision THAs performed by surgeons who were not designers of the implant, who used the most recent iteration of a nonmodular stem design, and with patients having a minimum followup of 2 years. We therefore asked: (1) Do repeat revision rates with the Wagner Self-Locking (SL) stem (Wagner SL Revision® hip stem; Zimmer Inc, Warsaw, IN, USA) match published results for this and other implants? (2) Does the Wagner SL stem provide comparable or acceptable patient function and pain relief at a minimum of 2 years? (3) Is subsidence with the Wagner SL stem a clinical or functional problem at a minimum 2 years after surgery? (4) Does proximal femoral remodeling occur? Between May 2011 and December 2012, 198 revision THAs were performed at our institution. Of those, 104 (53%) were performed using the Wagner SL stem. During that period this implant was used predominantly to treat Paprosky Types II and III defects. Modular fluted stems were still used for complex cases where we expected that a monoblock would not have the required versatility but a segmental replacement was not necessary, whereas various types were used in the remainder. Fifty-five men and 49 women underwent revision THA between May 2011 and December 2012. The median age of this cohort was 72 years (range, 40–94 years). Median duration of followup was 31 months (range, 24–46 months). One patient was lost to followup; otherwise, the outcomes of all patients are known. The median BMI was 30 kg/m2 (range, 18–40 kg/m2). Patients had a median of three procedures before their most recent revision. Fifty-two percent of our cohort were classified as being in Charnley Class C. The median American Society of Anesthesiologists (ASA) score  was 2 (range, 1–4) (Table 1). The main indications for revision included aseptic loosening (48%), infection (24%), and periprosthetic fracture (15%) (Table 2). Sixty-three patients had femoral bone loss that was categorized as severe: 52 defects were categorized as Paprosky Type IIIA; nine were Type IIIB defects; and two were Type IV defects (Table 1). Acetabular revision was performed in 98 hips. Trilogy® acetabular components (Zimmer) were used in 30% (31 cases) of patients, trabecular metal modular cups were used in 64% (67 cases), and the acetabular component was unrevised in 6% (six cases). Seven patients died of unrelated causes. The results of these patients have been excluded. The outcome of each femoral component up to the point of death of the patients is known. These patients were pain-free up to their last followup. There were no revisions or pending revisions in this group, and no femoral component revisions or pending revisions up to their final followup. The Wagner SL Revision® stem is a nonmodular tapered fluted titanium stem. It is manufactured from a titanium-aluminum-niobium (Ti AlNb) alloy and has a grit-blasted surface to facilitate bone ongrowth. The stem has a 2°-taper and eight longitudinal cutting flutes which engage the endosteal bone, providing rotational stability. It is inserted after preparation of the femur with conical reamers. This “cone within a cone” fit provides axial stability. It has a circular cross-section, which allows the surgeon to optimize or “dial in” the version of the femoral neck. All procedures were performed through an extensile posterior approach. An extended trochanteric osteotomy was performed in 41 cases (39%) to expedite removal of well-fixed cemented or cementless stems and in cases of varus remodeling of the proximal femur to facilitate safe “straight shot” access to the diaphyseal canal. These were planned during the preoperative templating stage. The stem size, length, and zone of fixation were not affected by the extended trochanteric osteotomy. Cerclage wires or cables were used for fixation of all osteotomies. We did not change our preoperative plan for any patient who had an extended trochanteric osteotomy. The femur was hand-reamed with incremental conical reamers. The stem size and orientation and the head and neck sizes were fine-tuned with the use of a modular trial. The diameter of the final reamer used matched the sizes of the stem used. Uncemented acetabular components were used in all cases in which the acetabulum was revised. Weightbearing was based on the severity of the preoperative bone loss and security of the reconstruction, but was partial for the first 6 weeks for all patients and was advanced based on the clinical progress and radiographic findings with time. Patients were reviewed preoperatively, at 3 months and 1 year after surgery, and then annually thereafter. Clinical and radiographic assessments were performed at each visit. Clinical outcome was recorded using a standardized quality-of-life (QOL) assessment tool, which included the Oxford Hip Score (OHS) , WOMAC score , the SF-12 , and the University of California Los Angeles (UCLA) activity score  preoperatively and at the latest followup. Patients also were stratified according to their level of comorbidity using the ASA  and Charnley classification systems . The WOMAC and SF-12 scores were converted to scores out of 100, where higher scores indicate better function. All radiographs were assessed by at least two of three surgeons (NS, CPD, DSG) for signs of implant stability as described by Regis et al. and for evidence of stem subsidence. Stem subsidence was measured using the distance from the tip of the greater trochanter to the shoulder of the prosthesis as described by Callaghan et al. . Remodeling of the proximal femoral bone stock was assessed using the system proposed by Böhm and Bischel . Subsidence was considered to be clinically significant if it exceeded 10 mm . Heterotopic ossification was classified according to the system of Brooker et al. . Proximal femoral bone deficiencies were classified according to the system of Weeden and Paprosky . All complications were recorded. Failure was defined as revision or impending revision of the stem for any reason. The median for QOL and hip function in this cohort were calculated using SAS® Version 9.3 (SAS Institute Inc, Cary, NC, USA). At a minimum of 2 years, no hips had been revised for aseptic loosening. One revision of the stem and cup had been performed for infection, and two acetabular revisions had been performed for instability. Dislocation occurred in five patients, but only two required revision surgery. Two patients required additional surgery in the form of irrigation and débridement of wound hematomata at 4 and 5 weeks after the index procedure. Complications encountered included five dislocations (five of 104; 5%) and three cases of infection (three of 104; 3%) (Table 3). Grade I heterotopic ossification was noted on 21 (20%) radiographs, Grade II on eight (8%), and Grade III on three (3%). There were no radiographs showing progressive radiolucent lines suggestive of aseptic loosening or loss of proximal femoral bone stock suggestive of stress shielding at the most recent followup. Complete preoperative scores were available for 98 patients (98 of 104; 94%), and we noted improvement in pain and function. The mean OHS preoperatively and at final followup were 39 (SD, 15) and 87 (SD, 19), respectively (p < 0.001; mean difference, 48; 95% CI, 43–53). Average WOMAC scores were 44 (SD, 15) and 87 (SD, 20), respectively (p < 0.001; mean difference, 43; 95% CI, 38–48). Mean pre- and postoperative scores for the mental component of the SF-12 were 44 (SD, 11) and 46 (SD, 10), respectively (p = 0.172; mean difference, 2; 95% CI, −1 to 5). Average pre- and postoperative scores for the physical component of the SF-12 scores were 35 (SD, 11) and 51 (SD, 11), respectively (p < 0.001; mean difference, 16; 95% CI, 14–18). The average UCLA score preoperatively was 3 (SD, 1), and at final followup it was 5 (SD, 2) (p < 0.001; mean difference, 2; 95% CI, 1.6–2.4). Twenty-four percent of patients (25 of 104) had a UCLA score of 7 or more, reflecting a moderate to high activity level. Median subsidence was 2 mm (range, 2–15 mm). Subsidence was observed between 3 and 6 months in all cases. Six (6%) patients had subsidence greater than 10 mm (median, 12 mm; range, 10–15 mm). These components stabilized by the 1-year followup. No patient in this subset of six had symptoms suggesting stem loosening. The median pre- and postoperative OHS in this group (with subsidence > 10 mm) were 40 (range, 15–80) and 85 (range, 80–100), respectively. The difference of medians was 45 (p = 0.002). Median pre- and postoperative WOMAC scores were 47 (range, 29–90) and 88 (range, 75–100), respectively. The difference of medians was 41 (p = 0.003). Median pre- and postoperative UCLA scores were 3 (range 1–3) and 6 (range, 1–9). The difference of medians was 3 (p = 0.008). Femoral deficiencies in this group were Paprosky Type IIIA (five patients) and Type IIIB (one patient). At most recent followup the final median OHS in the group with subsidence was 85 (range, 79–100) compared with 84 (range, 79–100) in the entire cohort. The difference of medians was 1 (p = 0.802; 95% CI, −17 to 13). Final median WOMAC scores were 84 (range, 75–100) and 86 (range, 79–100), respectively. The difference between the medians was 2 (p = 0.905; 95% CI, −18 to 18). The latest UCLA scores in the group with subsidence and the entire cohort were 6 (range, 1–9) and 7 (range, 1–9), respectively. Difference between the medians was 1 (p = 0.236; 95% CI, −3 to 1). Signs of proximal femoral bone remodeling were observed from as early as 3 months after surgery. At most recent followup, signs of restoration of proximal femoral bone stock were seen in 45 patients (47%). We observed no evidence of progressive bone loss or disuse osteopenia in any patient; these are common observations after use of chrome-cobalt extensively porous-coated stems. Forty extended trochanteric osteotomies had progressed to full union by the final followup. There was nonunion of an extended trochanteric osteotomy in one patient. An additional corrective osteotomy through the medial cortex was performed in 15 patients (14%) to address severe varus remodeling. All of these patients achieved union. Management of femoral bone loss in revision THA can be challenging. Fully coated cylindrical cobalt-chrome stems have been associated with proximal femoral stress shielding and loss of bone stock [24, 26]. Obtaining fixation in patients with large defects (Paprosky Types IIIB and IV) can be difficult with this design . Numerous authors have reported encouraging clinical and radiologic outcomes with the use of tapered fluted modular titanium stems [22, 23, 26, 30, 31, 38, 39], however, observation of junctional fractures at the modular stems  led to increased interest in the use of the nonmodular Wagner SL tapered fluted titanium stem at our institution. We therefore asked: (1) Do repeat revision rates with the Wagner SL stem match published results for this and other implants? (2) Does the Wagner SL stem provide comparable or acceptable patient function and pain relief at a minimum of 2 years? (3) Is subsidence a clinical or functional problem at a minimum of 2 years after surgery? (4) Does remodeling of the proximal femur occur? This study has several limitations mainly owing to the relatively short duration of followup. Most patients appeared to do well in the short term; however, subsidence of 10 to15 mm was observed in six patients (6%). This group was considered to be at risk for loosening and instability and followed closely for a longer time. Our study is retrospective, and we acknowledge selection bias. The stems in question were used in only 53% (104 of 198) of patients, and more complicated hips, such as those with Paprosky Type IV defects and segmental bone loss, were treated with proximal femoral replacements. Modular stems and extensively coated stems were used in 21% of patients (22 of 104). Although the use of these rapidly declined during the study period as they were replaced by the monoblock design, we have used modular stems, extensively porous-coated stems, and others with encouraging results [6, 12, 14, 16, 23, 26, 32]. Thus, it is possible that patients treated with modular designs would have done as well. One patient (one of 104; 1%) underwent a two-stage revision for infection 9 months after surgery. No rerevisions were performed for aseptic loosening or progressive subsidence in contrast to reported rerevision rates of 5% to 8% [2, 6, 14, 25]. The most common complications reported with the Wagner SL stem (other than subsidence) have been dislocations and periprosthetic fractures [6, 14, 25]. Dislocation rates of 5.7% to 13.9% have been reported with the first- and second-generation designs of the Wagner SL stem [6, 14, 25]. Five of our patients (5%) experienced dislocations. Two patients underwent revision of the acetabular component to a constrained liner and three were treated successfully with closed reduction. Both patients undergoing reoperation had severe abductor deficiency. Three patients had diagnoses of deep periprosthetic joint infection; two of these patients were treated without surgery with long-term antibiotics. One patient (one of 104; 1%) underwent a two-stage revision for infection 9 months after surgery. None of our patients experienced a periprosthetic fracture. Three patients required reoperations at this early stage, which is comparable to the incidence reported by other authors for complications including infection, dislocation, and subsidence [6, 14, 25]. Although our patients had substantial comorbidities, we noted significant early improvement in pain levels and overall function, as measured with validated patient-reported outcomes. Similar improvements in functional outcome have been reported by other authors in short-, medium- and long-term studies. Bohm and Bischel  reported significant improvement in pain, function, and ROM at an average of 4.8 years after surgery with this prosthesis. Gutiérrez Del Alamo et al. found similar results at a mean 8.4 years in a group of older patients. Regis et al. and Weber et al. reported Harris hip scores of 75 and 76 at 13.9 and 5.5 years, respectively, with use of the Wagner SL stem in revision cases. Thirty percent of our patients were employed full-time at the time of final followup. The results of our study also suggest that encouraging results can be achieved by a cross section of surgeons and not simply specialist units. During the first year, six of our patients (six of 104; 6%) had radiologic subsidence of 10 mm or greater (average, 12 mm; range, 10–15 mm), which stabilized during the first year. The outcome scores of this small group were not lower than those in the overall cohort. Regis et al. , Gutiérrez Del Alamo et al. , and Bohm and Bischel  reported incidences of subsidence greater than 10 mm of 20%, 19%, and 20%, respectively. Revision for progressive subsidence in their patients, however, were two of 68 (2.9%), one of 79(1.3%), and one of 123 (0.8%), respectively. Baktir et al. supported these established studies with an 11% incidence of subsidence greater than 10 mm. These studies [2, 6, 14, 25] reflect results of the early design of the Wagner SL stem, suggesting that the design change potentially affects subsidence. Early subsidence has been reported to be a predictor of early revision attributable to aseptic loosening , however we did not experience this in our cohort, in keeping with Girard et al. , who reviewed 183 revisions at 5.9 years followup and found that, in contrast to proximal fit and fill stems, early subsidence did not affect the function or osseointegration of conical revision stems. The results of our study are comparable to the best in the literature (Table 4). Subsidence has been associated with component undersizing . We were able to avoid this in our current series. Böhm and Bischel  and others [5, 14, 25] have described improvements in the quantity and quality of proximal femoral bone stock associated with the use of the Wagner SL stem. Our observations are similar. Fifty-two percent of our patients had Paprosky Type III defects (48% with Type IIIA, 5% with Type IIIB), yet bony reconstitution was noted in 47% of this group. No proximal femoral bone loss (stress shielding) was noted. An extended trochanteric osteotomy was used in 41 patients (39%). Forty of these (98%) patients achieved complete union in keeping with findings by others [6, 14, 25]. Bony union was observed at 6 months after surgery. Heterotopic ossification was observed in 31 patients. This rate of bone remodeling and healing is likely the result of the elastic modulus of the stem being relatively similar to bone. 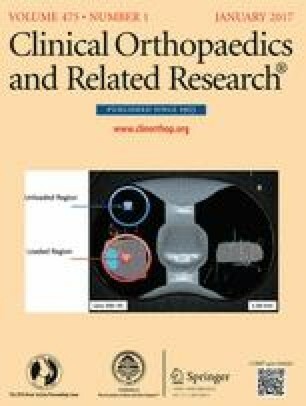 The results of our study suggest that encouraging levels of patient function and low complication and revision rates can be achieved with a nonmodular tapered titanium stem in patients with Paprosky Types II and III bone defects at a minimum of 2 years after surgery along with proximal femoral bone regeneration. These results are comparable to those of prior studies by the surgeon designers of this implant [34, 35]. They suggest that tapered fluted nonmodular stems are a viable option for treatment of patients with bone deficiency and can successfully mitigate the risk of junctional fractures which is a potential risk with modular designs. Modular designs still have a role, particularly in patients with very high offsets, and segmental replacement remains the preferred treatment for severe segmental bone deficiency. The incidence of subsidence in our patients is lower than for patients in previous studies with this design, however further prospective randomized controlled trials are needed to confirm this finding. Further research also is needed to establish the medium- and long-term results of Wagner SL nonmodular design.